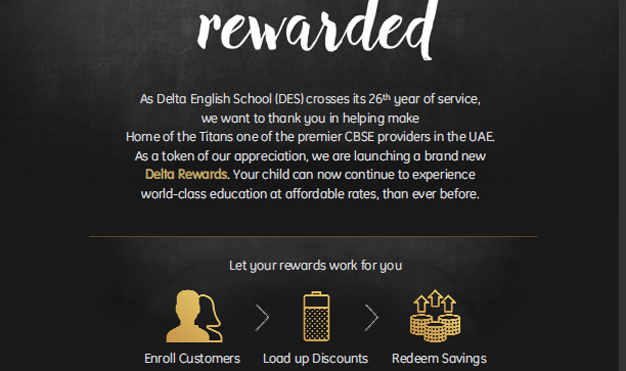 As Delta English School Crosses its 26th Year of service, we want to thank you in making Home of the Titans one of the leading CBSE providers in UAE. As a token of appreciation we are launching a brand new Delta Rewards. Your Child can now continue to experience world-class education at affordable rates, than ever before. Earn cash-backed points for every friend you bring to Delta English school and Redeem for great tuition savings.